It’s no secret that diabetes is quickly growing in the United States. Current stats show that 25.8 million children and adults in the United States - that’s 8.3% of the population - have diabetes (2011 National Diabetes Fact Sheet). And seventy-nine million people are pre-diabetic. This epidemic really does affect us all in some way, shape or form. And chances are we, or a loved one, will suffer from diabetes at some point in our lifetime if something isn’t done to address it. There are a couple of local initiatives put in place to prevent and manage diabetes in Summit County, but we as a community don’t seem to have a comprehensive approach to deal with the whole problem. Locally, the American Diabetes Association (ADA) has been working for years to combat diabetes. They are probably the most well-known. And recently a pilot program has surfaced from the Austen BioInnovation Institution (ABIA). Both organizations are aware of and support each other. “(ABIA) has been supportive of us and our efforts and we’ve provided them with information,” Jill Pupa, Executive Director of the Cleveland/Northeast Ohio Chapter of the American Diabetes Association, said. So far, ABIA’s studies have shown a great need for more awareness on this topic. “Diabetes here is at about 11%. 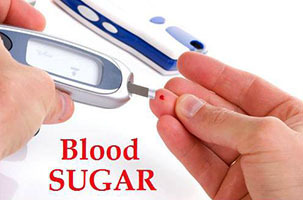 The national estimates are that there’s an additional 30%, 20 and over, who are pre-diabetic already. That’s a huge portion of the population. Half of people 65 and over are pre-diabetic or diabetic,” Jennifer Teller, Head of the Chronic Disease Initiatives at ABIA, shared. Doing the math, that equals 40% of the population of Summit County being diabetic or pre-diabetic. One of the ADA’s biggest local initiatives to wipe out/manage diabetes is Project Power. “It’s faith-based in the African American churches,” Joann Mraz, Director of Mission Delivery at the local ADA Chapter, said. “Our organization truly believes that everything starts with the empowerment of knowledge. 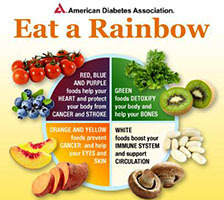 In order to make lifestyle changes you need to understand what changes need to be made, how they will be impactful on better health outcomes and also identifying the American Diabetes Association as a tool and resource as they make their journey to good health,” she continued. As a part of ABIAs Accountable Care Community (ACC) they have begun to launch small pilot programs throughout the county to tackle this growing issue as well. They started out with a small program that had 26 participants at 3 different sites. “They were very successful,” Teller said. Each group met with the goal of reinforcing behavioral changes. ABIA is currently analyzing the data they’ve gathered from these studies and calculating the best ways to move forward. “One of the most important things is that we’ve raised awareness and people keep asking us to bring the program to their site,” Teller said. They are currently planning how to make this more widespread and available, and want to expand beyond Summit County. ABIA’s classes are instructor-led with about 10-15 in attendance. “What’s nice about the small group type of format is people feel very comfortable and safe, so they can talk honestly about what’s going on in their lives. It’s a support group, basically. They set their own goals and report on them in each session. They learn that it’s the small steps, not ‘I’m going to lose 9,000 lbs. in a week’, but ‘I can lose 1 lb. a month. I can cut out 2 cookies a day’,” Teller shared. One of the strengths of the program comes from health care experts in attendance, who offer advice tailored to individual participants. “These people have answers to most of the questions that people ask about a specific area. Like ‘I can’t rotate my shoulder the way you are suggesting, so what can I do instead?’” Teller said. The complete program is 6 months long with 12 sessions every other week, 2 hours each time. A small snack is provided, which teaches what a small, balanced meal is. As of now ABIA is taking baby steps to achieve the larger vision that they have. “(We are) continuing running these and finding the most efficient and effective ways to do it,” Teller shared. This just scratches the surface and is just the beginning of what’s to come. We will continue to follow-up with these organizations and share their progress. For more information on the American Diabetes Association visit: www.diabetes.org or Austen BioInnovation Institute: www.abiakron.org .